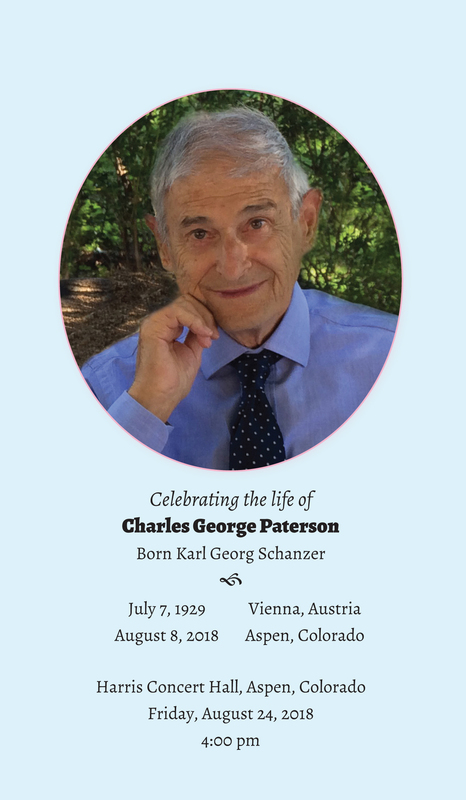 On this page you will find the program for the memorial service for Charles Paterson, links to slideshows, and some of the wonderful remembrances, articles and obituaries. It is a comfort for our family that many have asked us to build this page where we can all continue to remember him. Thank you for all your kindness, love and support. It means the world to us. 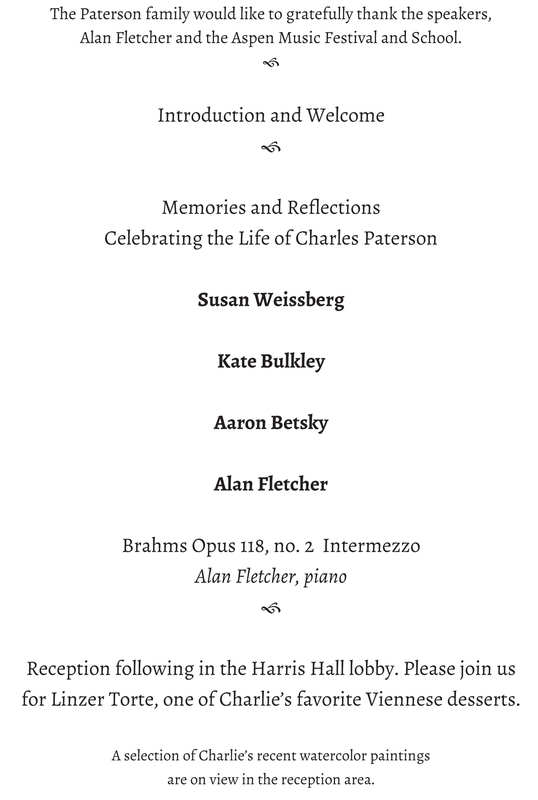 Welcome and thank you all for coming to remember and celebrate the life of Charles Paterson, the man I am proud to have known as my father. My mother, Fonda, and sister Jenny Paterson Rose, and I have invited a few of my father’s cadre of special friends to speak to you today. We will let them introduce themselves, and we look forward to conversing with you at the reception upstairs following the celebrations. I want to acknowledge and thank all of our relatives and dear friends who’ve traveled from afar to be with us here today and all of you who’ve made time to be here to support us this afternoon. Please know that Dad had an amazing and bright summer, with concerts, social outings, painting and reading in the sun, as well as buzzing around town on his new electric 4-wheel red scooter, which he said was better than a Tesla. When we celebrated his 89th birthday in July, I can’t remember recently seeing him happier. He’d just been in the 4th of July parade, spontaneously inserting himself and said scooter into a conga line. When I spoke with Dad the morning of his passing, he confessed he’d been restlessly dreaming all night that he wasn’t there anymore. I asked if that scared him, and he responded no, and then added, after a pause, that he felt cheery. An optimist his whole life, he even didn’t allow death to get him down. 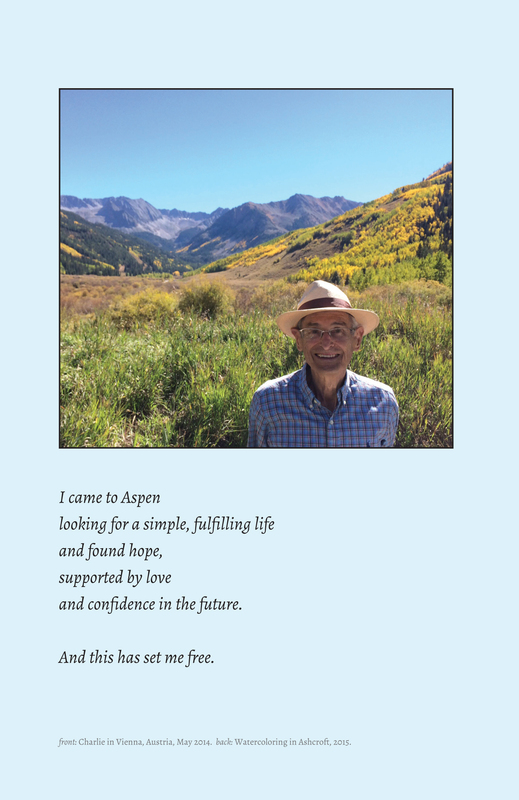 He just wanted to be in Aspen, to be at home, and to be with his family. We miss him, and we grieve for ourselves, but not for him. Dad drew aces, he went out on his own terms, and he’s still with us in the light around us, these beautiful Colorado days, and the lightness we feel when we remember him. Charlie’s watercolors were inspired by artist books, magazines, wildlife calendars, how-to watercolor books, photos supplied to him by his family, and especially from his travels by ship around the world. Following his death, tributes to Charles Paterson appeared in The Aspen Times and The Aspen Daily News as well as Architect and the Journal of the Taliesin Fellows.